This page is a guide on tall men’s clothing, with a particular emphasis on clothes for tall slim men. You will find sections on individual items like shirts, jeans, jackets, and suits. Then there are various tips like how to stretch and alter clothes for tall slim men. Finally, there’s a list of tall slim men’s clothing stores and brands (see some great options below). If you have anything to add or any questions, please use the comments section at the end. I grew ‘up’ in the 90’s. Back then, people only bought clothes at actual stores, mostly in malls. At a tall and slim 6′7″ and 215 lbs, finding long enough clothes was a nightmare. I’d wander the mall for hours looking for that one shirt that was inadvertently made extra long. And pants were even worse. The longest I could find were 34″ inseam which left me revealing my socks. The reason manufacturers neglect tall men is that there are far fewer of us than average height people. This has to do with the economy of scale. Our savior though is online shopping. When low volume items like clothes for tall slim men are stocked in large wearhouses and shipped direct to the customer, many of the fixed costs disappear. So as online clothes shopping became more common, so did tall men’s clothing. Nowadays, many of the big brand names have lineups for tall men’s clothing. Mind you, we do tend to spend more on tall men’s clothing as we almost always have to buy new, deals are less common, and online shopping often has shipping costs attached. But all that’s a small price to pay to get long enough clothing! More recently, some big brands have started offering medium tall and even small tall sizes. Additionally, niche brands have started popping up, such as Tall Slim Tees (TST) and American Tall. Brands such as these focus exclusively on tall clothing, and do a great job catering to us tall slim men. Their clothes aren’t merely graded up from those for average height people, but actually designed for us from start to finish. Sometimes you can see this in the details, like larger pockets and buttons. There is a lot of confusion surrounding big and tall men’s clothing shops. Is it truly for men who are big and tall? Perhaps it is for men who are big or tall? In my experience, you will definitely find clothes for average height people who are big as well as clothes that work for people that are kinda tall. As far as people who are exceptionally tall, whether you are big or thin for your height, you won’t find much help at big and tall clothing shops. My advice to the truly big and tall men out there is to check out some of the niche tall slim brands I mention on this page. Often, they say they do clothes for tall slim men simply to distinguish themselves from inaptly named big and tall shops. For instance, the tall thin clothing brand, American Tall, does jeans in 44 x 38, which in my opinion is truly big and tall. There are a lot of different kinds of shirts and tops out there: T-shirts, polos, dress shirts, sweaters, hoodies etc. What these all have in common is the way they are sized: small, medium, large, extra large, etc. This one dimensional sizing system ties width and length together. 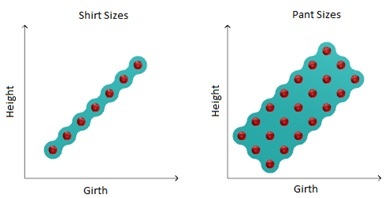 So not only do you have to be a common size to get a good fit, but also average proportions. Tall slim men and tall big men obviously are neither, and this is why regular shirts fit us particularly poorly. For us, tall sizes or custom clothes are the way to go. The niche tall slim brands give us a lot of options here. The exception is for tall men’s jackets, which for the most part you’ll have to look to the bigger brands. When checking the fit of a tall slim men’s shirt, the first thing we do is check the length of the torso and sleeves. But additionally, there are some finer details that are important, like the position of the shoulder seam on the shoulder, and snug but not tight neck. Jeans and pants are better than shirts at accommodating different body shapes, like a tall slim build. This is because they’re sized by both length and width. However, finding the right size is still a challenge. If you wander the mall for instance, you likely won’t find anything longer than a 34″ inseam. Online though, the bigger brands often carry up to 36″ length. I’m lucky enough to be able to wear a 36″ inseam (my height comes more from my torso). For those needing 38″, you’ll have to look to the niche brands, like American Tall. Their tallest and slimmest jeans are a 32″x38″. If you need even longer and slimmer, then you might check out this page: Jeans for tall Skinny Guys, or go straight to custom: MadeToOrderJeans. It used to be that all clothing articles were made one at a time and for the wearer (bespoke). Industrialization saw an end to this. Factories, assembly lines, automation, and overseas manufacturing all pushed us towards mass production. This lowered costs, making clothing more affordable for everyone. But outliers like us tall slim men could no longer find proper fitting clothing. Currently though, there is a resurgence in custom clothes. This is spurred on by a rise in online shopping as well as advancements in digital manufacturing that reduce the cost of mass customization. It is now possible to get a custom tailored tall men’s dress shirt for as little as $59 US, which is truly extraordinary. And it’s not just shirts but also bespoke t-shirts, pants, and even suit jackets. One of the companies leading this movement is Hockerty. And another that focuses specifically on custom jeans is MadeToOrderJeans. If you’ve read this far, I’d wager you know a drier can shrink a tall man’s clothes. I’ve learned to avoid the drier like the plague. Hang drying clothes may take longer and leave them wrinkly, but it preserves their length and quality better and also happens to be friendlier for the environment. If for whatever reason a drier has turned you pants into knickerbockers and shirts into belly tops, fear not; it is possible to stretch your clothes back out. There are right and wrong ways to do this though. Take stretching the length of shirts for example. If you just grab the shirt and pull down, you’ll accidentally increase the width, the last thing tall slim men want. Instead, clamp a couple boards to the bottom of the shirt and hang it. It helps to get the shirt wet where you want the stretch to occur. Apparently hair conditioner is also helpful. The main type of alteration you can do for tall men’s clothing is to take in the sides on a shirt. The basic idea is to cut out material near the side seam and then stitch it back together. It helps to first use some bobby pins to find your desired girth. You can find tailors who will convert modify shirts for tall skinny guys for not too much. But better yet, there is a device known as the ZipSeam which can even be used as a substitute for altering. There is only so much alteration you can do and some clothing is just too baggy and impractical to fix. Take a dress shirt with too long of a shoulder seam for instance. Adjusting that seam is extremely difficult and you’re better off buying a new shirt. While it is pretty clear tall men need longer clothes, there are also a variety of accesories and so on that should be longer for us too. For instance, we’ll need longer ties, wider clothes hangers, and most importantly, bigger shoes! Check out some related posts below. Below is a list of brands that cater specifically to tall slim men. If you are particularly tall, slim or otherwise, these are likely your best bet. As you might have guessed, Tall Slim Tees cornerstone is T-shirts for tall skinny guys, just $20 each including shipping in the US. They have really nailed the fit down and and have started providing these in a slew of different colors in V-neck and crew neck. They’ve also applied their tall slim fitting model to long sleeve shirts, undershirts, hoodies, and have plans to do athletic shirts too. Medium is the size that works best for me. 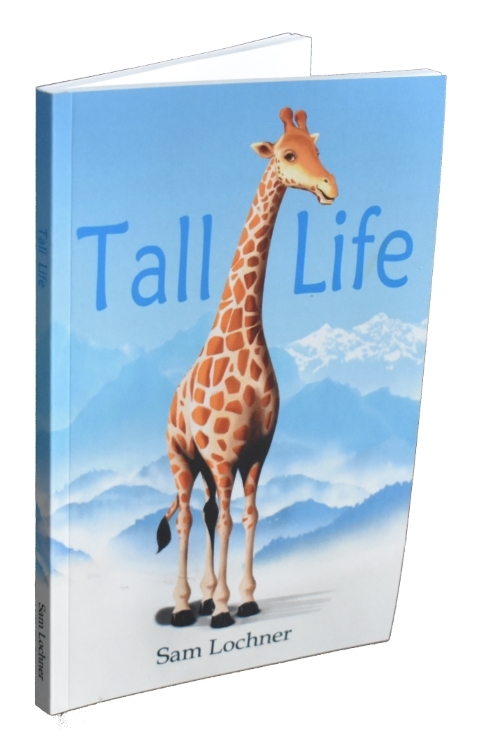 The next company I would like to mention is a recent startup called American Tall. What they have going for them is over 35 years experience in clothing manufacturing. They do all the basic clothes for tall slim men, from pants and jeans to shirts and jackets. I tried out some of their clothes myself and wrote about it here: American Tall. I particularly liked their Italian made dress shirts. Navas makes clothes that are tall, slim, and rather stylish the West Coast sorta way. I really like their nifty heathered and modern tweed patterns, interesting materials, and clever pockets. They seem to be rather found of hooded stuff. I guess it makes sense given all the rain out there in Vancouver, where they’re based. They also manufacture in Vancouver. I find their XLT stuff fits me best, see the fit here: Introducing Navas. Of all the tall men’s clothing companies I list here, I think Cleaner Brighter is probably the one that focuses the most on particularly tall and slim build. They provide enough basic clothes for tall slim men that you should be able to put together a bunch of different outfits that really suit your build. I reviewed a couple of their items: Tall Polo. I found their size large fits me best. If you’ve had a hard time finding long enough jeans, then I suggest checking out Wiedemann Jeans. They specialize in jeans for tall people and carry sizes all the way up to 42 length. These lengths are available from a 34 waist up to a 40, so they really are clothes for tall slim men. That’s right, they even have a size 34 x 42 for the very tall skinny guys among us. 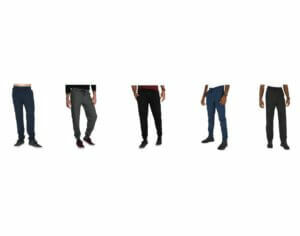 These extra long jeans for tall men come in four different styles including straight leg and tapered. The styles aren’t all that different though; all fairly slim and modern. Six-8 Clothing is both a brand and shop for tall men’s clothing. They make their clothes for tall slim men right in the USA. Particular emphasis is on making clothes specifically for the taller person, not merely graded average sizes. This means the zippers, pockets, and details are all larger. They sell all the basic clothes including jeans, t-shirts, sweaters, and long sleeve shirts. Pants are available all the way up to 38″ length and shirts come in tall and extra tall for men over 6′8″. See here for more including my thoughts on their polos: Six-8 Clothing Company. Below is a list of brands that happen to have tall men’s clothing lines. While the tallest of men will likely still find the best fit from the niche brands, these big brands offer a lot more variety in styles and designs. All of these brands should have large tall sizes. A few may have medium tall and even small tall for the slimmer tall guys. I think ASOS may be the only tall men’s clothing brand on this page specifically catering to people in their 20’s. You’ll find lots of skinny jeans, carefully positioned rips, muscle shirts, and old styles reincarnated. As far as sizing, their pants go up to 36″ or 38″ length and their tops are available all the way from small long (tall) up to XXL long! Note that in addition to their own ASOS brand, their webshop also sells other brands like Levi’s and Cheap Monday. Columbia is primarily and outdoors clothing company. They make all kinds of jackets, vests, and snow pants. And lucky for us, they make them in tall sizes. I actually have one of their large tall Alpine Action winter jackets. It is an awesome jacket and I figure it could work for someone quite a bit taller than myself. The only downside is that they don’t do small or medium tall. This means tall slim guys like me might get a slightly baggy fit. I don’t mind this for a winter jacket though as it means I can layer underneath for those really cold days. I highly recommend Columbia’s tall men’s clothing. Levi’s strives to be the top denim jeans seller on the planet. In so doing, they have a lot of sizes, some that work for us tall people. Their longest inseams are 40″ which can come in waists as narrow as 32″ and as wide as 42″ last time I checked. They also do tall sizes for many other clothing items, like tall men’s shirts, hoodies, and jackets. Carhart is most famous for their sherpa jackets, which happen to come in tall men’s sizes. They’re warm and rugged, making for great work jackets. Carhart also does a variety of other tall men’s tops, like hoodies and t-shirts. Some of their stuff is available in medium tall for tall skinny guys. 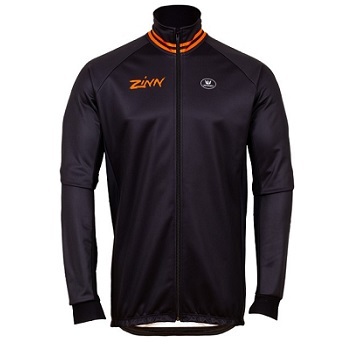 Another fine tall slim men’s cycling clothes option I recently came across is Zinn Cycles. They are notorious for building fabulous custom bikes for tall people. 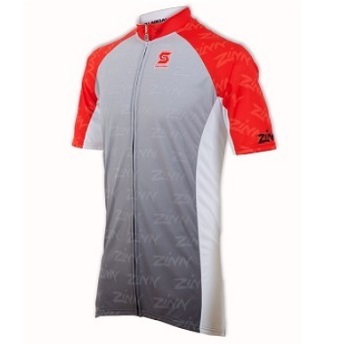 But it turns out they also do standard bikes, components, and tall men’s cycling clothes too! I haven’t tried them out personally. But if they are half as good as their bikes (I rode Zinn’s 747 for a while), then they’re worth checking out! Thank you very much for this information. My youngest son is 15, 6’2″, size 14 shoe and of course still growing! Pants & shirts have been a challenge because he is a slim & tall teen. Waist between 31-32, 34 length works..for now. This gives me some proper fitting options for clothes. Your welcome, glad you found it helpful! There are a lot more clothing options out there for us tall slim guys than most of us realize! Although finding regular clothing is not too bad nowadays, what usually frustrates me the most as an outdoors person is finding well-fitting active/outdoor-wear. Think cargo-pants, outerwear with appropriate sleeve length so rain doesn’t seep in, etc. Always have to hope for accidentally finding something at NorthFace, REI, Columbia (they’re a bit better), etc. and it’s not even that bad for me, since I’m only just outside normal range. Any plans of doing a post focusing on this type of wear specifically by any chance? Glad you like it! I know what you mean with the outerwear, the tall slim men’s clothing shops really haven’t ventured much into that direction yet. The exception is Navas, they have some nice stuff. Other than that, there are a lot of bigger brands with tall lineups. I’ve found the tall stuff from Columbia to actually be quite good. Thanks so much for all of these resources! It’s so frustrating trying to find clothing for my tall guys that isn’t wide too. I think that the designers think that all tall men must have an equally large waist. It would be great to also have a listing of shoes for sizes over 13. Glad you found it helpful, I’ll have to add a section on shoes for tall men in the future! Thank you so much for your efforts and this page! Two of my sons (17 and 15) 6’4 32×36 and 6’6 34×38 both in 13 shoes. I have had the hardest time finding stylish, well fitting clothes. I truly appreciate your information. Thanks. My husband tall & thin he’s 6’6″ 165lb. He’s an avid cyclist. He’s picky on all his clothing. Not so slim anymore.. 6’8 400+ Shirts have to be XLT, access poundage means elastic waist lines, for me anyways. Where I buy causal male stores.. I am wired right to there store when buying online..
Have you purchased from Wiedemann’s Jeans? Wondering if you have to pay any type or duty or custom tax? I need help finding jeans 30×38 I am 6ft,8in. Ny nephew is very tall/slim and we had super luck with Stetson jeans. They have some really great styles and almost all of them come in 30 waist up to a 40 inseam. If you google Stetson jeans you will find them available on many western wear websites (don’t let that fool you), as well as some discount sites, Good luck! Good find Sue! I just added them to the list of jeans for tall skinny guys. So happy to have falllen upon this website. Thank you, Tall Sam. Many resources you’ve posted are most helpful. As you suggested, looked at Columbia for a cold weather outer wear for 6’5″, 152 lb. son, 39″ chest, 31″ waist. 36″ sleeves, age 16. Appropriate jackets have been LT, which I think may be too wide in the torso. From your experience, should I order that, or do you know of a better resource? Glad you like the site! I actually have a large tall Columbia jacket myself. It is the Alpine Action and I definitely recommend it. It fits me surprisingly well, the arms and torso are plenty long and just baggy enough that I can layer if I want to. I’m 6’7″ and 215lbs, chest 42″, waist 37″, and not so sure bout sleeves. So it would definitely be baggier on him but there really aren’t a lot of better options out there. You might check out the tall men’s jackets page to see if there are any that do medium tall. Berne and Midway both do medium tall but those aren’t ski jackets… Good luck! This is good news for us my grandson is 14 and”6.4″ and still growing. Thanks for this website information. Have you had any success sourcing men’s underwear (anything other than boxers) for the tall man? At 6’6″ and only 200 lbs, my partner has a difficult time finding briefs as most waist bands are so low on his hips that they are uncomfortable. I have been searching for 6 months for briefs that fit him and the XXL sizes are still too small and he is skinny, but he has a large pelvis length required by his height. And it is frustrating that it seems men’s underwear is designed only for men with a Ken doll crotch…. I am pretty sure most guys have some stuff down there and do not like that it is all squished up (hence why so many may choose boxers perhaps, but then that may result in accidentally sitting on the stuff down there?) I don’t know, I am a woman, but my partner complains all the time about his lack of underwear, and the one pair that fit him that is now more holes than fabric. Setnie, I get you! My hubby is 6’6″ too, and I am always seeing a half moon. 🙂 I think my husband is just so used to them not fitting correctly that he doesn’t notice, but we have stuck to the poorly fitting brands sold in bags of three from retailers everywhere. I noticed this morning that Duluth Trading has a few tall underwear styles, and I may buy a pair or two for Christmas to try out. Good luck in covering your DH’s moon! Thank you!!! I’m trying to buy for my boyfriend for Christmas, but it’s difficult. He’s 6’7″ and really thin (about 165). It’s really hard to buy for him and I’m trying so hard to find clothes for him. Glad you found it helpful! A couple of the companies I mention right at the start do tall men’s shorts. 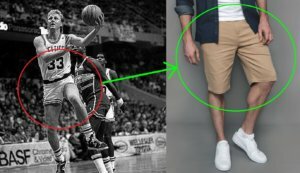 I really haven’t paid much attention to shorts yet as the length isn’t as critical as it is for other tall men’s clothing. I suppose this is because there are so many different styles out there with different lengths that it is somewhat forgiving. Just wanted to let you know about a website I found while looking for work jeans for my son (6’7″ 155lbs). He likes 29x38s. Hard to find. The site I found is Automotive Workwear. Some of the pants have up to 40’s and some can be bought unhemmed. I’m a sewer so I can hem them for my son. I had to do that when we bought a suit for graduation. Hope this helps some of you tall wonderfully slim gentlemen out there! Hi Jennifer, I see they retail the Wrangler brand, which is great for long inseams. Good find, I particularly like how they retail Dickies un-hemmed 39″ inseam! You might be interested to see this page for more options: Tall Men’s Jeans. Does anyone know where to buy tall athletic clothing, both shorts and pants? Looking for running pants and shorts so hopefully not just basic sweats. I have two teen sons, 6’4 oldest takes a 32 x 38 and the younger is a 30 x 36 and not far from a 38. I’d even be willing to do custom if I could find a site. For anyone with teenagers….LOVE ASOS Tall. They are inexpensive, fashionable and the 38 length pants are great. Plus they arrive very quickly. I have a kiddo that is 6’3 and about 130lbs who needs about a 26W X 36L (which doesn’t seem to exist). We are looking for suit pants for interviews any suggestions? Yup, that is a tricky size for sure. You might have to see about going custom… check out Hockerty for instance, they will do some dress pants for tall slim men. 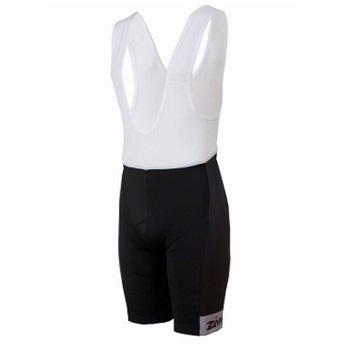 Aerotech sells some nice cycling clothes for tall men, you might try them. Thanks for the article with links! I really feel you should highlight Old Navys offerings. On their website you can select Tall and get all of their clothes that have a Tall size for the slim or athletic tall person. I believe they offer MT up to XLT. And they have such a great variety – athletic wear, casual, sporty, informal, and even dress shirts! And speaking of tall clothes coating more, they have great normal pricea and coupons. 90% of my wardrobe for all functions is now old navy. I hope more guys will find out and shop there to keep their tall line going and maybe even further expand it! Hi Paul, glad you like the article and thanks for the feedback. I do plan to highlight some of the mainstream brands’ tall lineups more at some point. And I too have had a fair bit of success with Old Navy’s tall men’s clothing. However, I’ve found the niche tall specific brands to be even more tall friendly, sometimes via extra tall sizes! And while everyone’s heard of old Navy, not a lot of people have heard of American Tall, so I like to highlight them more for that reason too. Thanks, what in particular do you like about it? It has been a very long while since I typed in my search engine “Clothes for tall and lean men when shopping for my husband because they didn’t exist. With Father’s day around the corner I thought to myself lets just try and see what happens. Your site was the first to pop up and let me say it was such a blessing to read every you posted on this site. I was even laughing at Austin’s blog about American Tall shirts and how they fit perfect and the struggles of tall and lean guys wearing basic t-shirts because I see those exact struggles with my husband. Thank you for all the information. It is so fun and exciting to finally shop for my husband because i know the clothes i buy will actually fit him. thank you, thank you, thank you!!! Glad you liked it! It’s just in the last few years multiple niche companies have started making clothes for tall slim men. It’s a real treat after so many years of wearing clothes that I now know to have been an atrocious fit. To think back at all that stuff I had to wear through high school, ugh! Thanks for writing in a I’m sure your husband will be quite pleased this year! I’m looking for a 26 or 27 waist, by 34 inch length. Where to buy sweat pants or truck pants for tall skinny guy??? Any tips on where to get swim trunks for tall guys? I have a 16 yo son who is 6’5″ and 190lbs, and very self-conscious. Most swim trunks show 3/4 of his thighs. He’s looking for board shorts that will look a normal length on him. Now that you mention it, short swim shorts have also frustrated me over the years. I suggest checking out the board shorts by Navas Lab. I haven’t tried their board shorts for tall slim men myself, but I definitely approve of their other tall slim men’s clothing. CIRE board shorts. I’m 6’6″ 210lbs. I wear shorts low on the waist and the length goes to the middle of my knee cap. I’m on the very skinny side, being 6’5” and around 150lb last I checked. I’m somewhere around a 31/32 waist, 36/38 length depending on the brand. Any ideas on where to find pants, possibly including but not only blue jeans? Thanks! 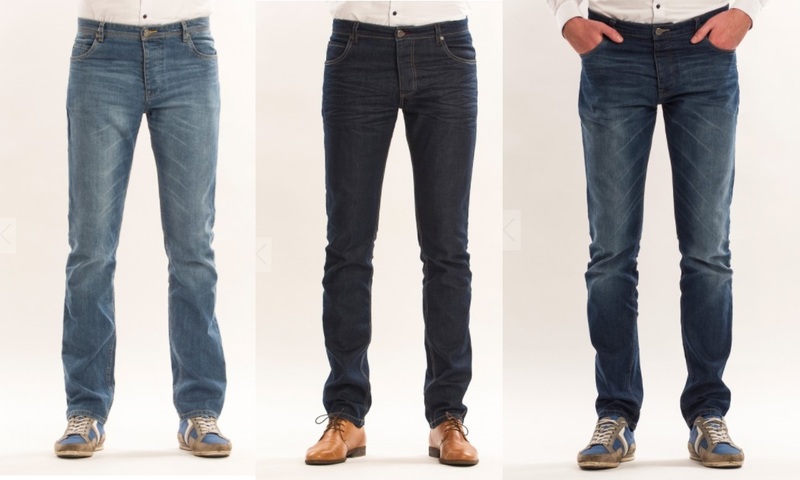 Cinch has jeans as tall and skinny as as 28″ X 40″. Check out this page for more: Jeans for Tall Skinny Guys. Other types of pants are definitely harder to find. I did review some chinos that have waists as narrow as 30 and lengths as long as 40 (not on the same pants, but there is a 32×38): Chinos for Tall Skinny Guys. Hope that helps. It is so frustrating that we cannot find 36 jeans length in shops and have to go to alternative places and pay much more. Similar with shirts as well which are too wide or too short on the sleeves. Once we get the opportunity the choice is basic and boring. It’s true we tall slim men have dramatically less clothing to select from. But in the last few years something clicked and our choices have been expanding rapidly. It would help this trend if we all bought from the niche brands pushing it. I’m not particularly tall (185 cm — 6 foot 1) but in terms of width I am size S (90 cm chest). Apart from a couple of dress shirts I have never had any upper-body clothing which fits, in my entire life! Clothes shopping for me has always been humiliating. I can’t even get pyjamas. The problem I have is, there seems to be quite a lot of options for formal clothes for thin men, and there’s companies like ASOS that have a lot for men in their 20’s. Any recommendations for those of us who want something a bit more upmarket than a T-shirt but still casual? So Long Sven looks great but I’m too short for them. Hi Dan, check out American Tall, they do some great day to night clothes for tall slim men. They do small tall shirts that might be just what you are looking for. Note that 6’1″ is a couple inches under their advertised height threshold, but I bet it would be okay, unless you are more legs than torso that is… Best of luck! Any suggestions on where to find dress pants for a tall skinny teenager. Izod 28×32 were perfect fit but now his socks are showing. Needed for school uniform. Seems most brands start with 30 inch waist. 28 x 32 pants aren’t too hard to find. 28 x 34 is another matter… How about 29 x 34? For instance, Amazon Essentials has lots of options in this size. This information is very helpful – thank you! My current dilemma is finding a suit for my son who is 6’8″ and weighs 200. I’ll check out Hockerty because I think it will have to be a custom order. Passing along that I have shopped with 2Tall in Scotland and found pants my son really likes. They ship to the US overnight for a flat $15. I am wondering if you have any suggestions for athletic wear…especially athletic pants. I was able to get a couple of pairs on the American Tall website but was looking for a little more variety. I have a 14 year old who is wearing a 30 x 36 and really needs a medium tall. Most of the athletic pants that I have found with tall sizing are not carrying medium tall. They generally start with large tall and go up from there. And of course being a teenage boy he wants the tapered leg like the kids are wearing right now. Thanks for any suggestions. Don’t you have catalogs you can send out to possible customers?????????? 62 years old, 6′ 5″, 197 lbs, and a life of baggy, ill fitting clothes, long sleeves that were always rolled up because they were too short, and endless searching for 37″ inseam pants. And after all these years…options! Thanks so much for your site and these merchants! Thank you, thank you, thank you! Yup, night and day. I’m only in my late 30’s, but I still remember well the hours of extreme frustration as I wondered the malls searching for something that was inadvertently made long enough for my tall frame. Those days are long past, and good riddance to them! Glad you like the site, and thanks for writing in!